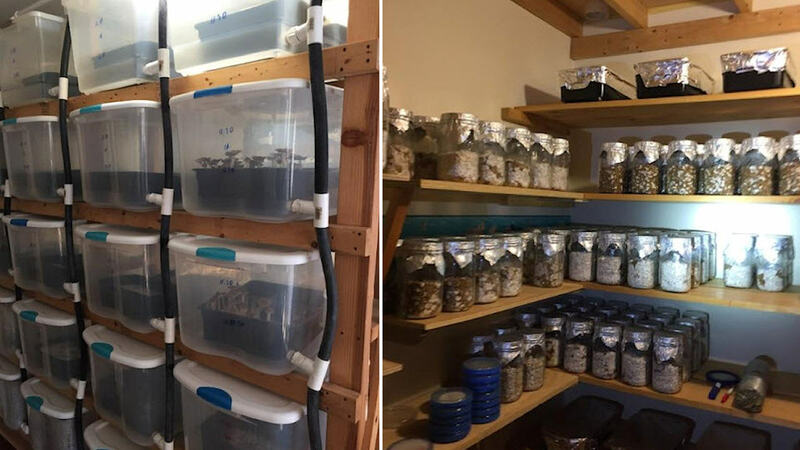 SHEEPSHEAD BAY, Brooklyn (WABC) -- Three people have been charged in connection to the confiscation of more than 250 pounds of illegal psychedelic mushrooms worth almost $2 million from a major grow house in Sheepshead Bay, Brooklyn. The Brooklyn District Attorney's office announced the discovery of the drugs and more than $30,000 in cash from two locations during the execution of search warrants by DEA agents. "This investigation exposed and dismantled a massive psychedelic mushroom grow house, keeping hundreds of pounds of this illegal and dangerous drug off the streets," said Acting District Attorney Eric Gonzalez. "I would like to thank all of the partners of the DEA Strike Force for their commitment to keeping our communities safe." Gonzalez identified the defendants as Vitali Yaromin, 50, of East 13th Street in Sheepshead Bay, Brooklyn; Nikita Medvedev, 26, of Staten Island; and Maksym Lyushnenko, 47, of East 11th Street in Sheepshead Bay. They suspects are awaiting arraignment in Brooklyn Criminal Court on charges of second- and third-degree criminal possession of a controlled substance and second-degree criminally using drug paraphernalia. If convicted, they can face up to 10 years in prison on the top count. "Man-made drugs are our worst enemy these days," said DEA Special Agent James J. Hunt. "Those using synthetic cannabinoids, Carfentanil, U-47700, or psychedelic mushrooms are playing Russian roulette. I commend the partnership at the DEA Strike Force that led to these arrests and seizure." At the first location, a private house on East 13th Street in Sheepshead Bay, detectives seized more than 200 pounds of psilocybin mushrooms a.k.a. psychedelic mushrooms, more than $30,000 in cash, more than 300 gift cards, one ounce of marijuana, and bank records. At the second location, a private house on East 11th Street in Sheepshead Bay, more than 50 pounds of psychedelic mushrooms, $400 cash and a 2007 Lexus 350 SUV were seized. "These individuals grew mind-altering mushrooms right in our own backyard of Brooklyn," said Immigration and Customs Enforcement Homeland Security Investigations Special Agent Angel M. Melendez ". "At a few hundred dollars an ounce, this was no small business. But they were hallucinating on their own product if they had thought they could hide from the law. HSI's joint law enforcement effort within the DEA's Strike Force unit demonstrates our commitment to track this type of criminal activity and lock up the perpetrators."